Lend adequate protection to your hands against getting cut while preparing food in the kitchen. 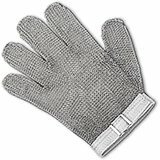 We offer an extensive variety of cut resistant gloves made from stainless steel wire, Dyneema (HPPE), spandex, and industrial polymer. 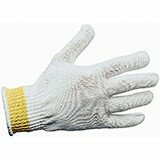 These gloves are designed to provide different ANSI levels of protection and feature thread counts with thickness varying from 7 gauges to 13 gauges. 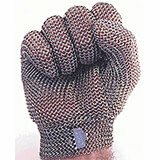 They are available in light to heavy weight and come in all the standard sizes. 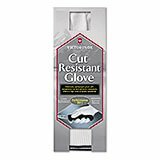 Our cut resistant gloves make sure that your comfort and dexterity levels do not get compromised for the want of safety. 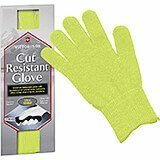 Equipped with anti-microbial protection, these gloves are safe for use with food. 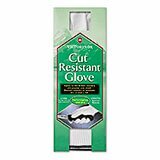 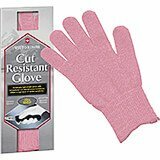 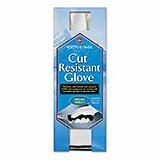 Ideal for safe handling of slicers and blades, our cut resistant gloves are bleachable and get cleaned easily.